A series of 24 audio-visual presentations by Adam McLean - Available as downloadable files. 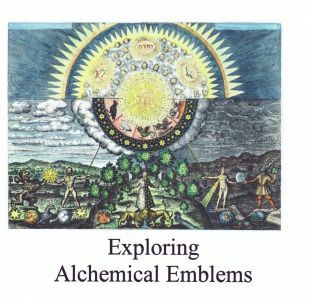 This is a new project and method for presenting information about alchemical emblems. 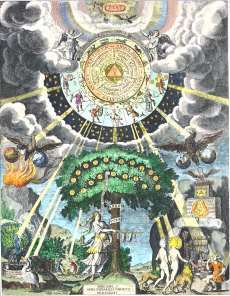 To a great extent it complements the study course on alchemical symbolism. It consists of a series of twenty four audio visual presentations for the Windows operating system, each of approximately five to ten minutes duration. In these presentations, the student is guided through an emblem by a commentary devised by Adam McLean. The software zooms into areas and explores each emblem in exhaustive detail. The commentary teases out all the puzzling components of the emblem, providing the viewer with insights into how these were structured and the narrative or message they contain. 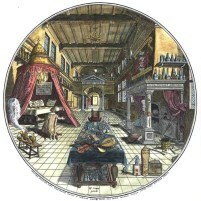 Through studying a presentation each week, the viewer will, at the end of six months, have become very familiar with the ways in which the alchemists presented their ideas in emblematic form. 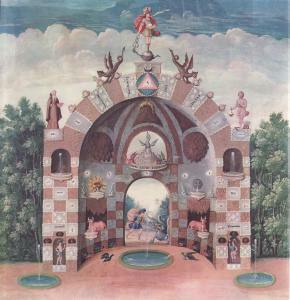 The course provides penetrating insights into the obscurities of these elaborate alchemical emblems. It does not provide the standard, simplistic, vague, new-age esoteric interpretations, but instead forensically examines the structure of the emblems and allows us to see again the original intention of their creators. These include explorations of familiar emblems from Robert Fludd, Henry Khunrath, Schweighardt, Michelspacher, Ripley as well as some more obscure pieces of alchemical symbolism from my collection. All the emblematic material has been hand coloured to bring out the details and make it easier to identify the symbolic components. This is now available as downloadable files (220 megabytes). As it is perhaps difficult to envisage these presentations from the above description, here is a short 1.5 minute extract from one of the presentations. (That particular presentation runs for over nine minutes). You can save this to your hard disc if you wish, or run it directly. Sorry, these presentations cannot be accessed on a Macintosh computer. Please note these audio-visual presentations are copyright © Adam McLean, and no part may be reproduced or distributed in any form (including the Internet) without the permission of Adam McLean.